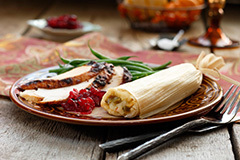 Korean cuisine uses a wide variety of vegetables and greens. 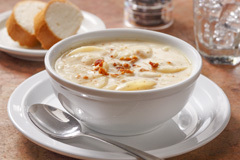 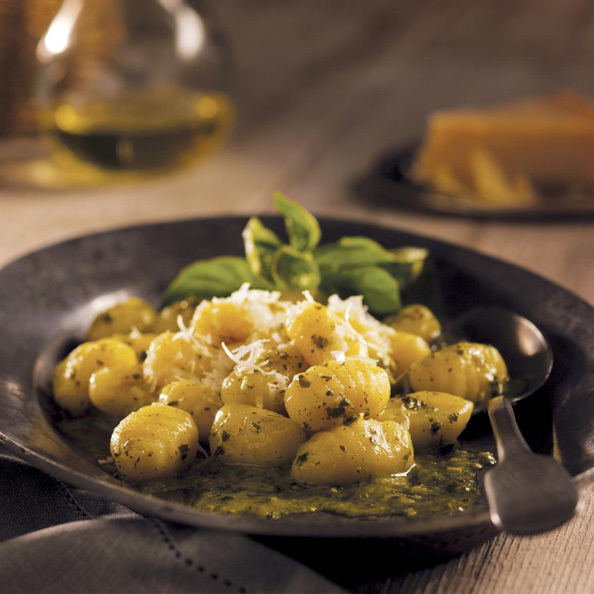 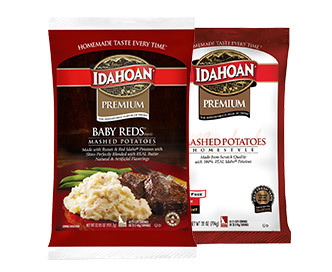 We married the popular condiment with our very own favorite mashed potatoes – Idahoan Steakhouse Reds! 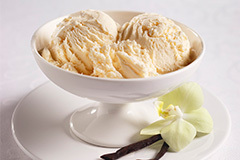 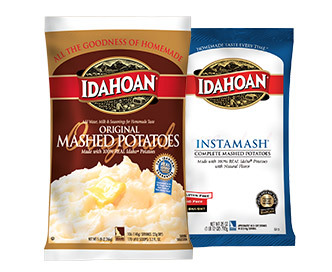 It’s a surprising combination that is irresistible. 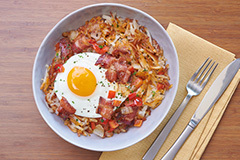 Coarsely chop the kimchi, reserving all excess liquid. 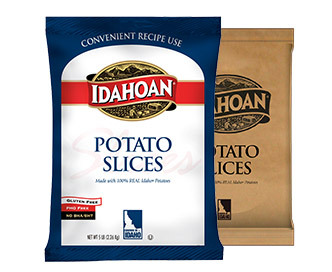 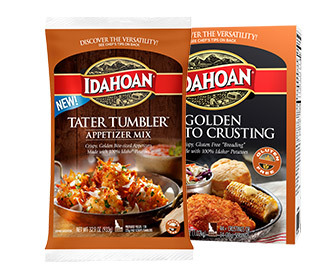 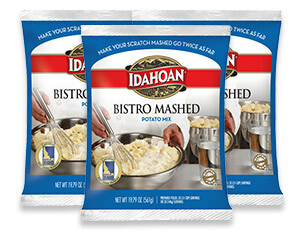 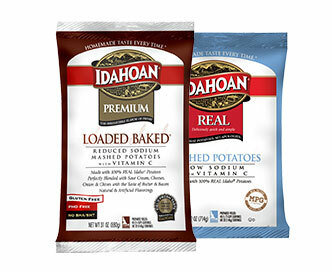 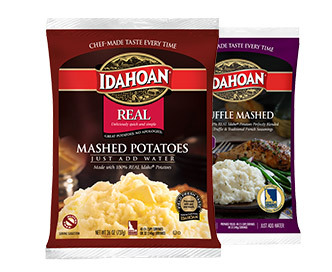 Prepare package of Idahoan Steakhouse mashed according to directions. 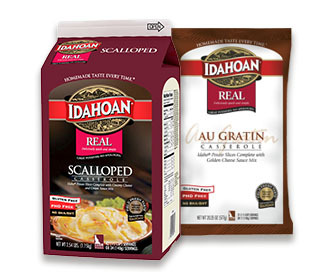 Crumble the tofu and press to remove any excess liquid. 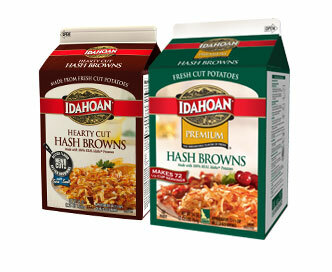 Using a 2-3 oz scoop, place batter on a well-oiled and preheated (med-high heat) skillet, griddle or wok. 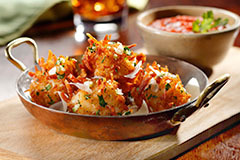 Pat with oil and serve.